Is it a salad? A curry? A stir fry? 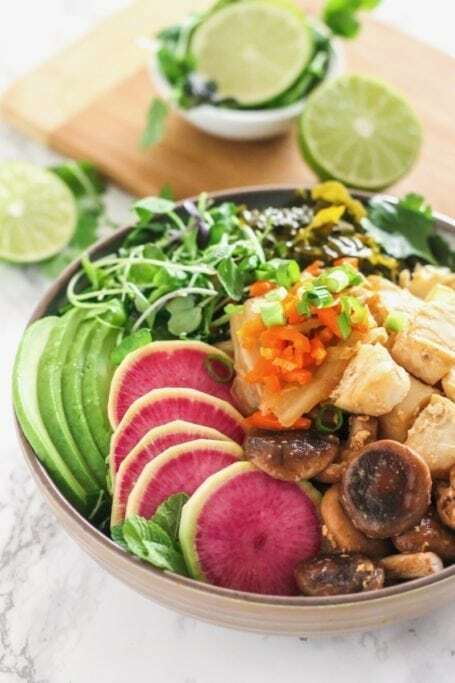 Nope – it’s a buddha bowl! 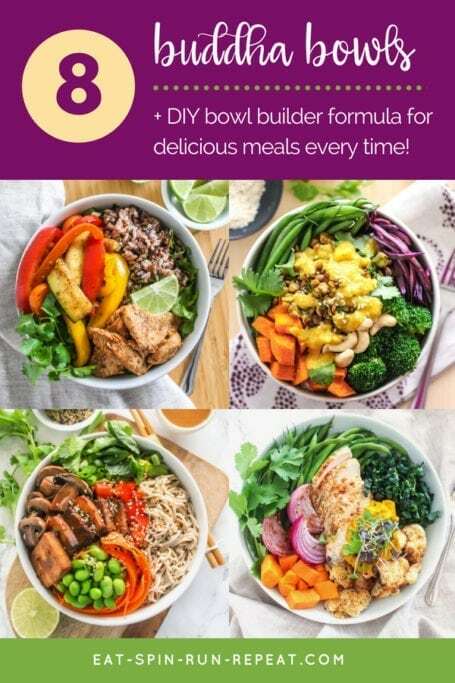 Use this Choose-Your-Own-Adventure Buddha Bowl Formula as a template for building delicious, nutritious and flavour-packed meals using your favourite seasonal ingredients. With tons of ingredient possibilities and flexibility for all dietary preferences, it’s a great tool to have in your weekly meal prep plan. 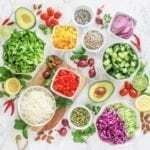 Occasionally I like to poll those of you who subscribe to the blog via email on your biggest health-related challenges, and one thing that comes up a lot (in addition to sugar, hence this month’s sugar free theme!) 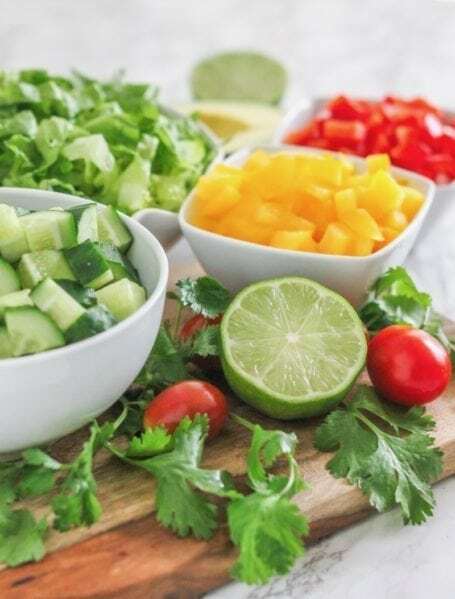 is meal prep – keeping meals interesting, knowing what to make, finding the time and mustering up the motivation to just get ‘er done. If any of those apply to you, then listen up: you’re going to like what’s on the menu today! 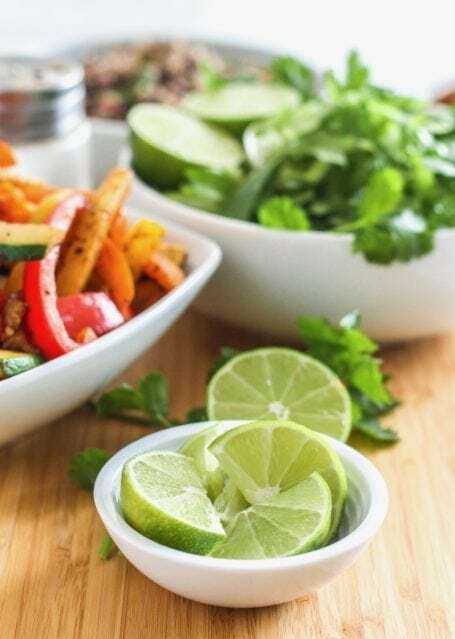 Recently I shared the go-to stir fry formula I use to make a week’s worth of dinners, as well as 6 sauce recipes that will make you want to eat vegetables. (Seriously – they’re delicious!) 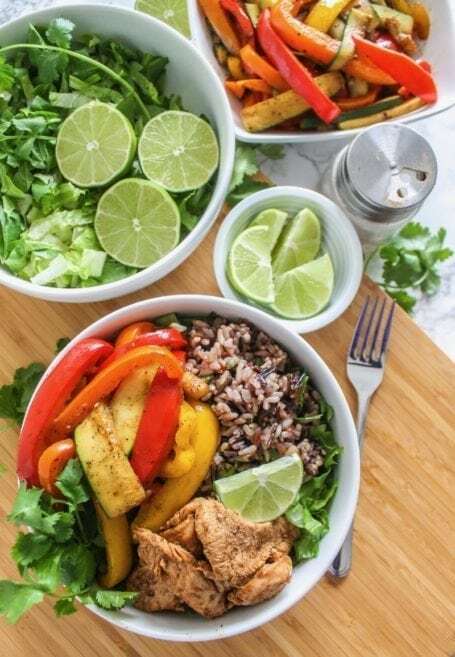 Another type of meal that I always use to keep meal prep simple is buddha bowls. 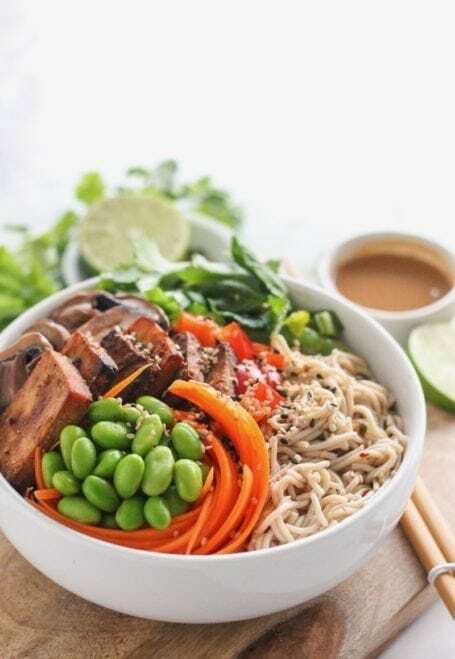 Yes, they’re similar to a stir fry, but one of the great things is that you don’t necessarily have to cook anything, and that’s great as we move into the warmer months! I also don’t think these should just be considered for lunch and dinner, because as we talked about last week, sugar cravings can often be tamed by starting your day with a savoury breakfast. Versatility at its finest! 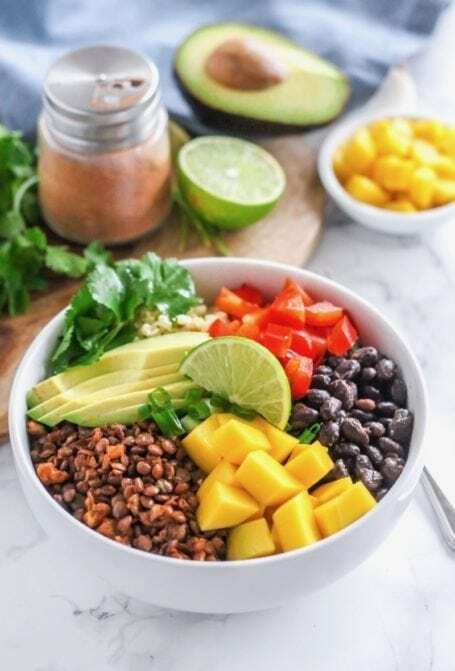 In the meal plans for the Feel Better Sugar Detox, there are a few occasions where I’ve provided a choose-your-own-adventure Buddha bowl formula. 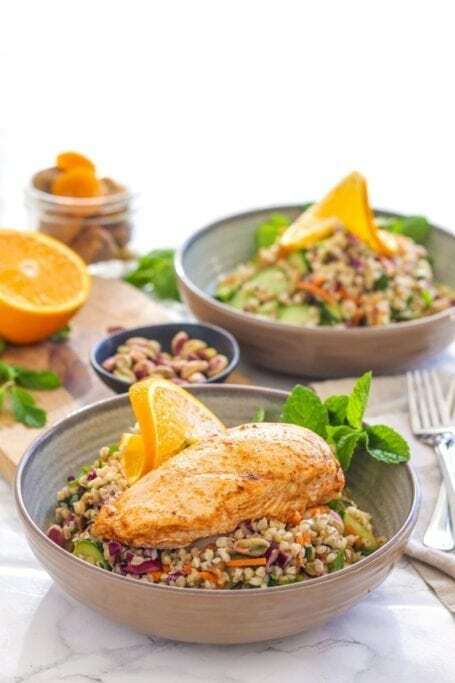 The template approach to cooking gives you more flexibility than a typical recipe, allowing you to use your favourite ingredients within each component – grains, greens, protein, fats, dressing etc. That means every creation can be made suitable for your dietary preferences. Paleo? Keto? Vegan? Flexitarian? No problem! Meal prep-wise, you could certainly use the same ingredients over and over again for a full week if that helps make life easier for you. Or, you could make 2 versions to last you the week and alternate between them. The beauty of this formula is that you don’t have to go running to the grocery store for specific items. As long as you have some pantry staple items on-hand and a decently-stocked fridge of assorted veggies, you should be good to go – even in a pinch. The measurements in the template are guidelines. As you’ll see, these bowls are heavy on the plants and that’s a good base to start with for any meal, if you ask me. However, you can absolutely adjust quantities a bit depending on how hungry you are, your body composition goals, activity level, etc. And heck, if you’re in the mood for some more avocado or an extra pile of zucchini noodles, go for it! To be completely honest, I rarely make buddha bowls using measuring cups. Bottom line: Part of the fun is in being creative, so consider the quantities indicated to be directional. Toss together whatever feels right and looks delicious! 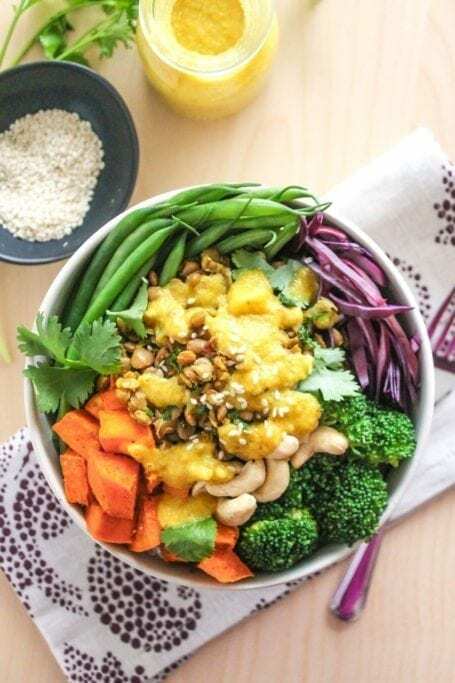 Use this Choose-Your-Own-Adventure Buddha Bowl Formula as a template for building delicious, nutritious and flavour-packed meals using your favourite seasonal ingredients. With tons of ingredient possibilities and flexibility for all dietary preferences, it’s a great tool to have in your weekly meal prep plan. Cook any ingredients that need it, or do this in big batches ahead of time. To add flavour to grains, try boiling them in vegetable or chicken stock. For protein that needs to be cooked, season simply by brushing in a small amount of oil (optional) and sprinkle with your choice of herbs and spices. To cook, try baking, roasting, broiling, stir frying, grilling or slow cooking. Again, this can be done in large batches. For high-protein foods that don’t need cooking such as canned beans, simply drain and rinse. Prepare your 1 cup of greens and 2 cups of shredded veggies. (Again, this can be done in avance – noticing a theme here?) You might choose to season and roast or stir fry these, or keep them raw and toss them in some of your dressing/sauce. Assemble everything in a bowl. Go fancy or be super basic – it’s entirely up to you. Top with dressing/sauce (or toss everything in it), followed by your high-quality fat source and other fun toppings, if desired. 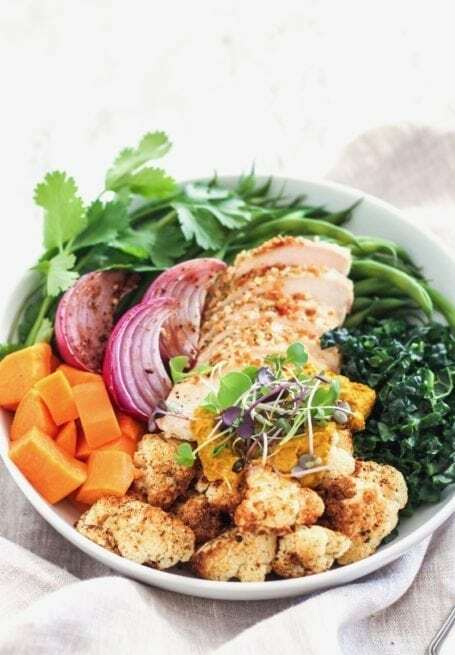 * You can keep buddha bowls low-carb and still just as satisfying by swapping out complex carbohydrates and starchy vegetables with foods like zucchini noodles, cauliflower rice, miracle noodles and kelp noodles. 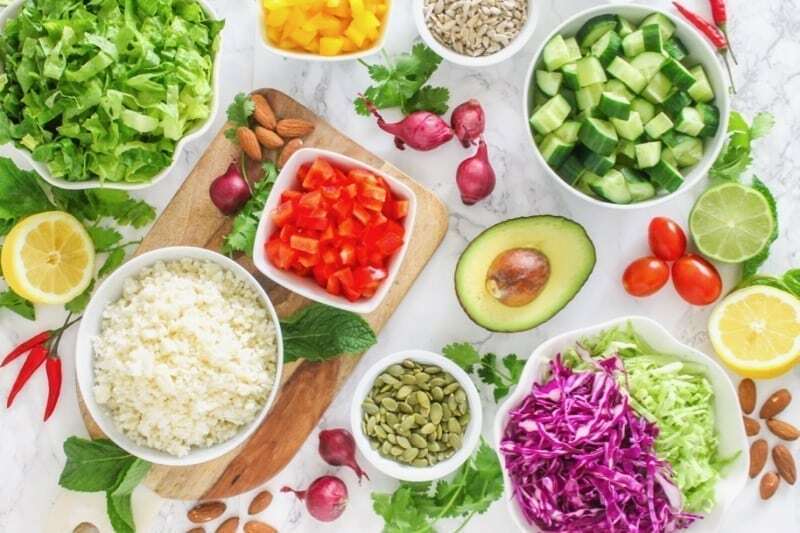 To ensure you still feel satisfied, you may want to increase the amount of veggies, high-quality protein and healthy fats you add. What ingredients are in each component of the formula? So glad you asked! 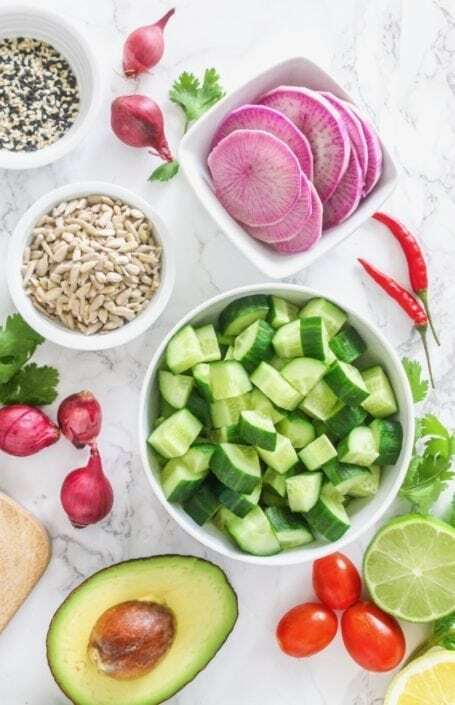 Below is a list of buddha bowl-friendly ingredients from the Feel Better Sugar Detox grocery list. (For those of you currently doing the program, there’s a few extra things listed here. Don’t worry – they’re all approved too!) Simply pick and choose from each category to make your own creations. I’ll be sharing the recipe for the very green-looking bowl from the Feel Better Sugar Detox cover. (A few of you have been asking for it, and you just need to wait 2 more days!) In the meantime, here are a few ideas to get you inspired.